Special Forces Uniform, created and manufactured by Helikon, has already gained a well-deserved recognition among Airsoft, hunting and paintball enthusiasts, as well as all fans of the big outdoors. Extremely comfortable and lightweight, it is perfect for all seasons and characterised by a modern cut and a high level of functionality. SFU shirt features casual collar and full front button fastening, six roomy pockets with Hook and Loop flaps, reinforced elbows with elbow pad compartments, ID Loop panels, and adjustable waist and cuffs. 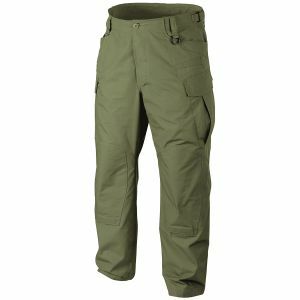 SFU pants go with a buttoned fly, nine roomy pockets, reinforced seat and knees with knee pad compartments, and adjustable waist and cuffs. 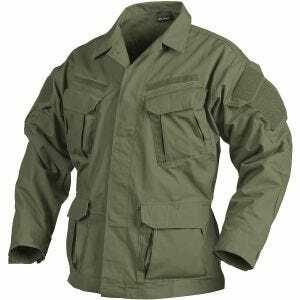 Durable and fast-drying, SFU uniform is available at the UK based Military 1st online store in a variety of colours and patterns, including universal olive green and classic olive drab.